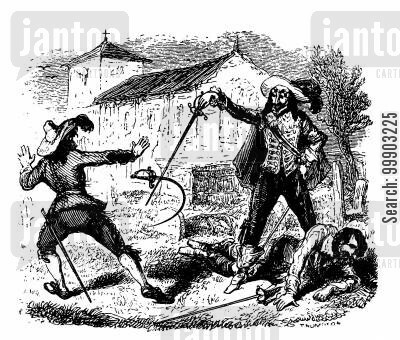 Style illustration of a musketeer wearing cape holding saber pointing viewed from front on isolated white background. Illustration of a Robin Hood wearing medieval hat with a pointed brim and feather viewed from side set inside shield crest with ribbonon isolated background done in retro style. Illustration of a Robin Hood wearing medieval hat with a pointed brim and feather viewed from side set inside circle with ribbon on isolated background done in retro style. Illustration of a Robin Hood wearing medieval hat with a pointed brim and feather viewed from side set on isolated white background done in retro style. Illustration of a Robin Hood wearing medieval hat with a pointed brim and feather viewed from side set inside circle done in retro woodcut style.